PennsylvAsia: Highest-grossing Chinese film of all time Wolf Warrior 2 (战狼2) to remain in Pittsburgh through August 30. 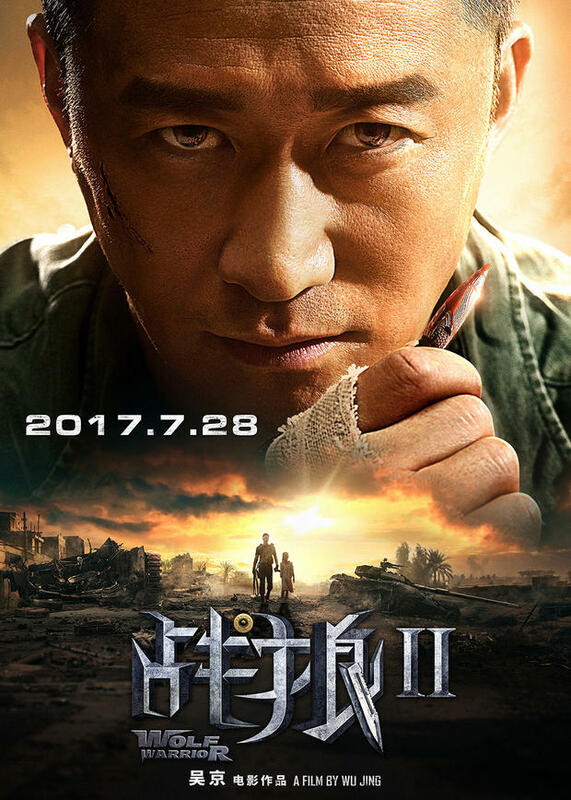 Highest-grossing Chinese film of all time Wolf Warrior 2 (战狼2) to remain in Pittsburgh through August 30. The Wolf Warrior is back, bigger and badder than ever, in this action-packed sequel to the 2015 blockbuster hit. With his career in tatters, China’s deadliest Special Forces operative has settled into a quiet life on the sea. But when he crosses paths with a sadistic band of mercenaries terrorizing innocent civilians, he must reaffirm his duty as a soldier and save the day once again. Fists (and bullets, tanks, missiles and much more) will fly in this adrenaline-fueled tour de force of bravura action filmmaking, all culminating into a climactic battle between the Wolf Warrior and the mercenary leader (Frank Grillo, Captain America: The Winter Soldier and Captain America: Civil War). Tickets and showtimes are available from Fandango. The theater is located at 300 West Waterfront Dr. in the Waterfront shopping complex in Homestead (map), across the Monongahela River from Greenfield, Squirrel Hill, and the rest of Pittsburgh.